The Finesse Series is offered in 1/4 and 1/8 oz. sizes in four fish attracting colors. The lazer sharp Eagle Claw sickle bend hook is paired with two rabbit strips and deer body hair to give the jig superior buoyancy. 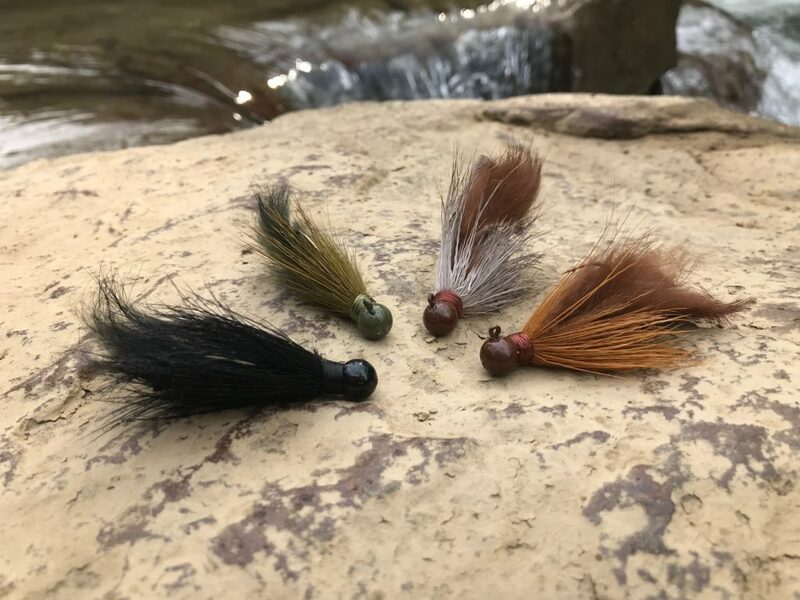 The undulating motion of rabbit hair, coupled with hollow, slow fall characteristics of deer body hair, make this a truly unique jig not found anywhere else. We are thrilled to bring this offering to the public, as we recognize anglers will find these “headknockin’” jigs a formidable alternative to conventional lures.